New Amazon Fire 4K TV Announced | Nerd Much? 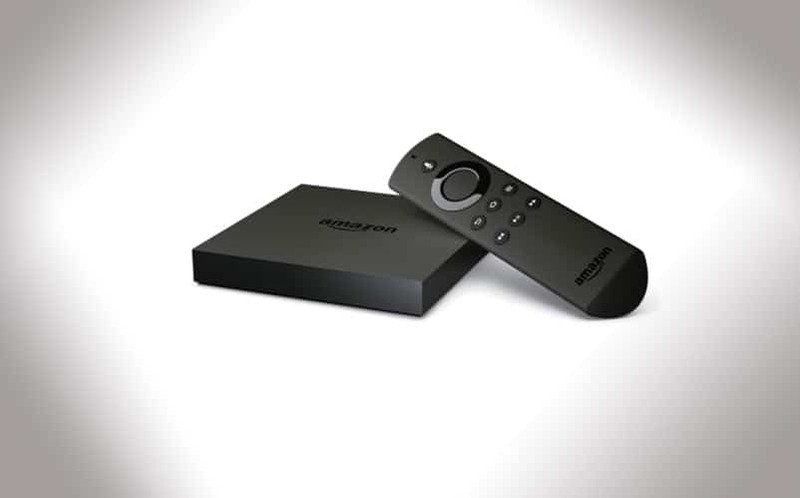 Amazon has introduced an all-new edition of the Amazon Fire TV, which now supports 4K Ultra HD for true-to-life picture quality, bringing joy to cord cutters everywhere. The updated device will bring high-definition 1080p streams via Amazon Video, Netflix, Hulu and other apps, even to those who don’t own a 4K television. The new Fire TV has 75% more processing power than its predecessor, 5x the processing power of the Roku 3, and 8x the processing power of Chromecast, thanks to its MediaTek 64-bit quad-core processor, dedicated GPU and 4x the memory of the previously mentioned devices. It also includes the latest standard in Wi-Fi technology, 802.11ac MIMO, giving faster throughput at longer ranges. The new Fire TV will also be expandable via microSD up to 128GB, allowing you to store more apps and games. Most notably, the new device brings built-in support for Alexa, the brain behind Amazon Echo. With the Alexa technology, Fire TV users will be able to ask Alexa the weather, sports scores, traffic updates, music and for news headlines by simply speaking into the voice remote. The device gives access to a huge library of apps and games, with over 3,000 apps available, including WatchESPN, SlingTV, Netflix, and others. The device is available for pre-order now for $99.99, and it is set to be released on October 5, 2015. Stay tuned to Nerd Much for more cool stuff to buy.